The SNP has been accused of repeatedly delaying a key announcement on university funding for “cheap conference cheers”. 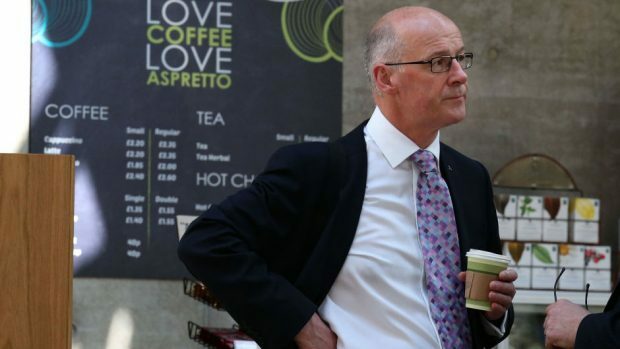 Newly released e-mails from Education Secretary John Swinney show he twice rejected the chance to announce cash for EU students had been secured – but chose to wait until the Nationalists’ gathering in Glasgow. His actions have been branded “pretty shameful” by Scottish Labour, amid claims the delay was to boost the SNP’s “self-proclaimed pro-Europe credentials”. Uncertainty had surrounded university funding for EU students in the wake of June’s Brexit vote. Ministers were provided with an update that month on the funding status of continental students starting courses in 2017. E-mails released under freedom of information laws show Mr Swinney rejected the opportunity to announce the government’s position on October 4, despite a parliamentary debate in Holyrood that afternoon and a ministerial visit to Dundee that morning. He then rejected a further opportunity to announce the position on October 11, when the UK Government did. The policy was eventually unveiled on October 14 at the SNP conference in Glasgow. Scottish Labour education spokesman Iain Gray said: “This is a pretty shameful episode for the SNP government, keeping students in the dark about their future simply so a minister could have a news line at the party’s annual party conference. Mr Gray said the education secretary had put “party politics” before “giving applicants the certainty the needed”. He added: “The truth is that the SNP was willing to ignore the interests of EU students and our universities in pursuit of cheap conference cheers for self-proclaimed pro-Europe credentials.